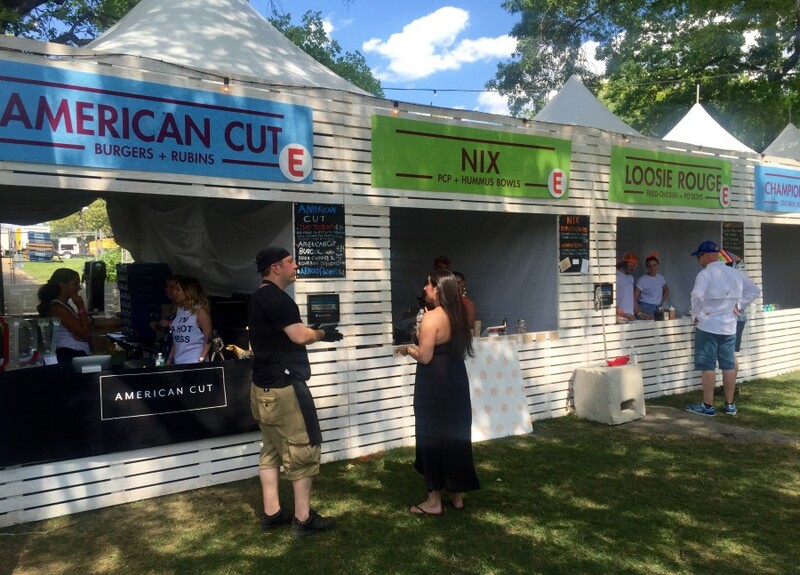 The July 22-24 weekend, New York’s premier food purveyors rallied to feed attendees of the inaugural Panorama festival, named after “the Panorama of the City of New York, a nearly 10,000–square-foot to-scale model of the city located in Queens Museum,” according to Billboard. Besides Panorama’s novelty, its food offerings spark particular interest in that it is produced by Goldenvoice Entertainment – the same company responsible for Coachella Music & Arts Festival and its pioneering food program. And, after all, New York is a city all about its food. 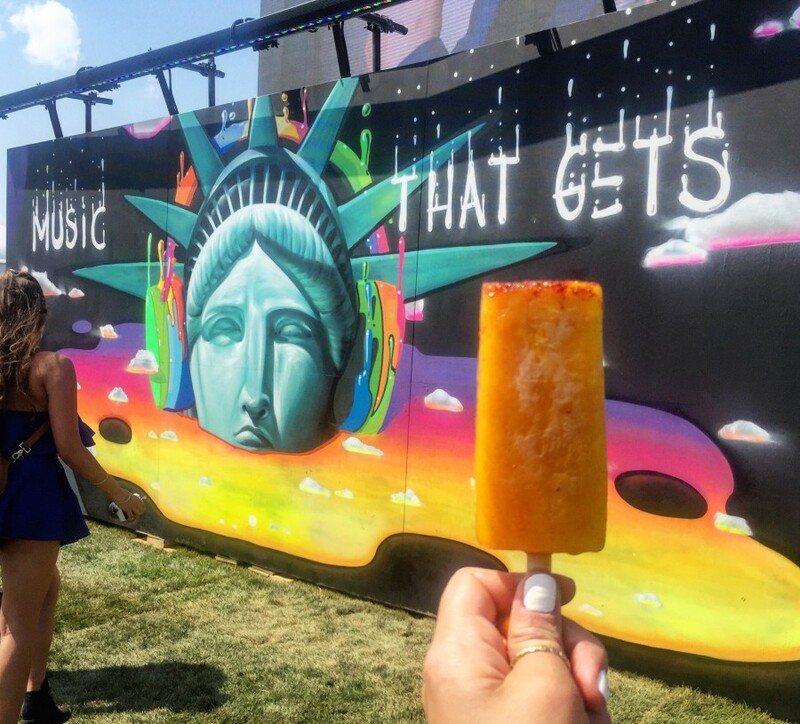 Things got sticky with La Newyorkina’s spicy Mango-Chile popsicle in 93° heat. Panorama’s food scene felt distinctly New York… with maybe a dash of California. (Re: Poke bowls, anyone?) There, festival-goers could find well-established eateries alongside the city’s most buzzed-about newcomers. While sandwiches and burgers were heavily represented, fare ranged from street food and trendy desserts to dishes featuring shaved black truffles and Michelin-starred sushi. Though, perhaps not everyone wanted to indulge so richly, given high humidity and temperatures in the mid-90s. Fortunately, Panorama weekend did not see weather so severe as to warrant cancellation, as did the Governor’s Ball Music Festival, held at the same venue one month earlier. The great restaurant city already has an annual music festival with respectable food offerings. 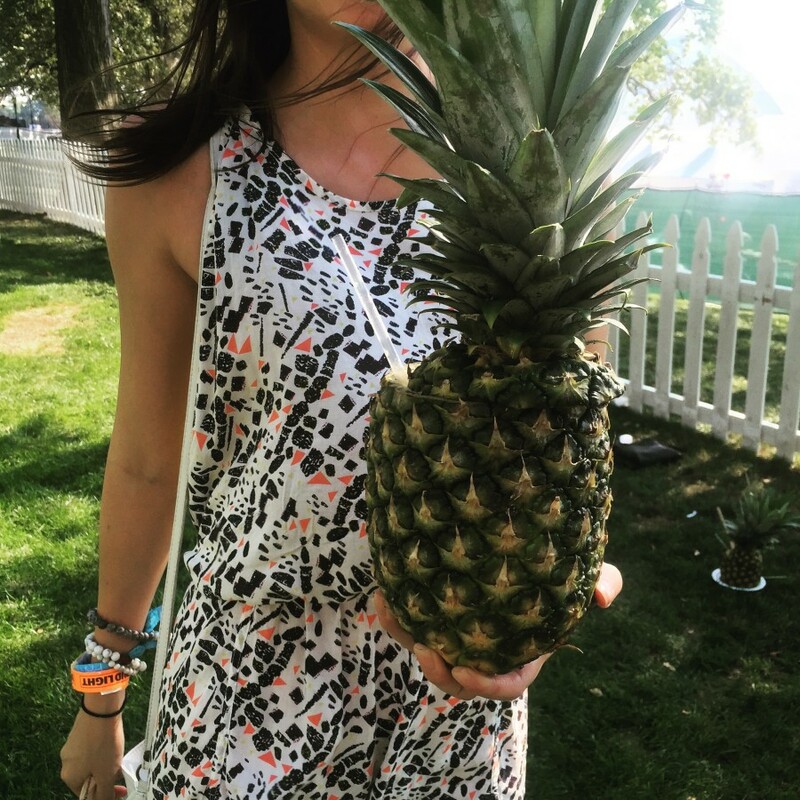 The past two years, Governor’s Ball stepped up its game with a food lineup curated by The Infatuation. Panorama’s food selections, on the other hand, were curated by Eater. So, the promise of elevated festival eats was a given. But, competition aside, what of the risk? Vendors in the V.I.P. area relaxed while awaiting the primetime crowds. Operating a food stand or truck at a one of these events carries a significant amount of inherent risk, taking into account everything from the fees and costs of operation to quality assurance to event attendance. This risk felt more apparent at Panorama. While tickets were not expected to sell out, fluctuating attendance estimates further complicated the logistics. Some were more comfortable in managing the demand. The experienced team behind Roberta’s Pizzeria has has been fine-tuning its mobile operations for six years. “We hit our number yesterday within $500 of what we were expecting to make,” said chef Anthony Falco. Others, lacking experience in mobile service, met the challenge with greater difficulty. However, through daytime lulls and the festival’s early moments of uncertainty, vendors remained in good spirits and enjoyed the event. That is because participation in the festival offers additional value. Friday, festival-goers flocked to Maman for matcha served in pineapples, though many wished for booze. “A huge part of it is branding and getting exposure, especially being here in the V.I.P.,” said Maman co-owner Elisa Marshall. 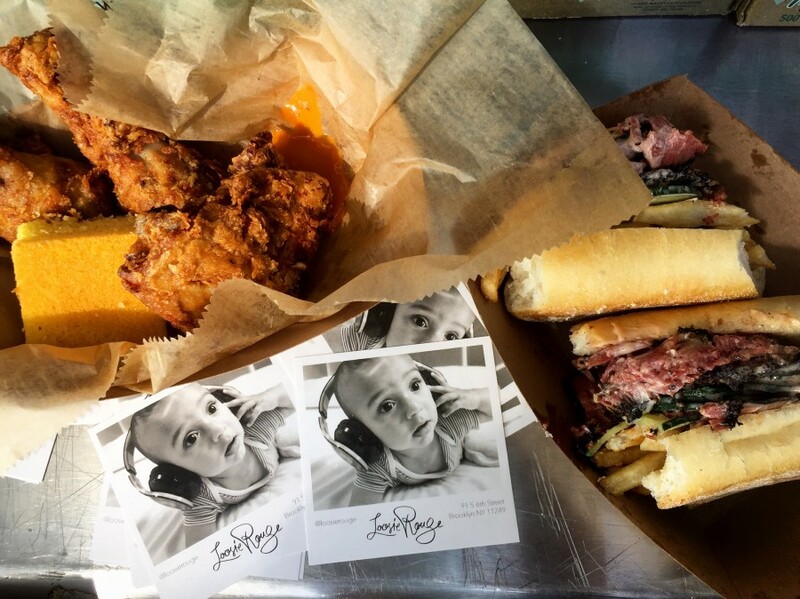 The influence of social media on food offerings is not new and food vendors know to prepare accordingly. The Maman team reportedly spent 12 hours coring 500 pineapples for their matcha lattes to create a more visually elaborate experience. More unexpected, however, was how easily one could spot the man running across the grass in V.I.P. – lunch held high in one hand, camera in the other – to snap an assuredly enticing photo of his meal with the main festival grounds in the backdrop. “As you look around, you can see everybody taking pictures of food more so than they are eating it,” noted Marshall. Even for a festival exploring technology as a theme, the influence of social media outside the tech installations was glaringly obvious. The hit Loosie-Katz’s collaboration, a pastrami-reuben po’boy, may make an appearance on Loosie Kitchen’s brunch menu. For Jake Dell, the fifth generation owner of Katz’s Delicatessen, the festival presented an opportunity to do something fresh with Katz’s renowned classic: pastrami. For that, he teamed up with Loosie’s Kitchen chef Olivier Palazzo, whom he met at the Zagat 30 Under 30 party, hosted at Loosie Rouge the month prior. The two set out to create something “different” and “a little funky”—a pastrami reuben po’boy, a popular item which might make an appearance on the Loosie’s Kitchen brunch menu. With its high prioritization of creativity and the juxtaposition of generations-old institutions with restaurants only months old, Panorama’s food program seemed to distill the culture of New York’s food industry. We’ll have to keep our eyes peeled to see how the annual festival’s food program evolves; but, if New York’s own restaurant scene provides any indication, we can expect it to go in some interesting directions, rapidly.